A coffee machine has become one of the essential appliances in every modern kitchen. A good coffee machine can save you a lot of time and money, it will fit perfectly in your kitchen, and, most importantly, it will provide you with the fullest, rich taste of coffee. As an essential part of the daily routine for the lovers of this beverage all around the world, coffee preparation has practically become an effortless task owed to coffee machines. But is the cleaning process equally effortless? The truth is, in many cases, people spend a lot of money on different types of cleanser but sometimes, when you have to take care of your budget, you may want to save some money and find an alternative solution, such as vinegar. But what happens when you don’t have vinegar and need your coffee machine cleaned urgently? Or if you just hate the smell of vinegar like me. In this article, we’re showing you some of the best alternative ways of cleaning your coffee machine thoroughly, without using fancy cleansers and vinegar! This mixture is a pretty convenient and definitely reliable alternative solution because of the fact that it helps you eliminate the mineral deposits and grease that tend to appear on the carafe of your machine. And cleaning the carafe is definitely one of the most demanding parts of cleaning a coffee machine owed to the fact that the mouth sometimes can be pretty narrow. So, what should you do? First, you should crush ice, put it in the carafe, and then sip some table salt on it. Then it should be thoroughly mixed, in a way that you can see that the machine is being cleaned. Once you have done this, you should rinse the machine one more time using cold water, and that’s the whole procedure. Another popular way of cleaning a coffee machine is based on the usage of water and baking soda. 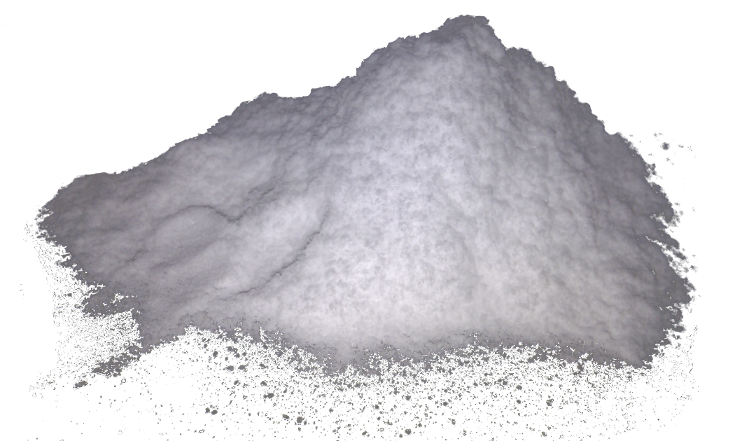 What you have to do is dilute baking soda in water and place the mixture in the water tank of your coffee machine. Once you place these ingredients inside the machine, you should turn it on and start the brewing process which will actually clean your appliance thoroughly from the inside. You will be surprised to see how powerful baking soda can be! It efficiently removes all type of stains and grease while at the same time eliminating the upleasant rancid smell that coffee beans usually leave after brewing. Having in mind that vinegar may leave the unpleasant taste in your coffee even when it’s thoroughly rinsed, a large number of people tend to clean their coffee machines using the lemon juice and cold water. The procedure lasts a bit longer but it’s definitely worth it. So, what do you have to do? First of all, empty the basket of your coffee maker and run a pot of clean cold water through the appliance. 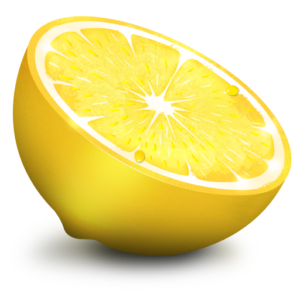 Once you do this, you should refill the pot using lemon juice and water (50:50) and leave the mixture in your machine for at least 15 to 20 minutes. Afterward, turn the machine on as if you were brewing coffee. This way, you’ll have the mixture run through the appliance, cleaning it thoroughly. Then, turn the machine off and leave the mixture in there for another 15 to 20 minutes and wait for it to cool before turning the machine on one more time. When the second run is done, remove the mixture. When the mixture is removed, fill the coffee pot with plain cold water and turn the machine on one more time in order to have it rinsed. Some people like to repeat this process twice to make sure everything’s rinsed properly. Finally, when this is done, use hot water and mild soap to wash the filter basket and coffee pot. If you need instant cleaning and have no time to improvise combining alternative ingredients, the simplest way of doing it is detaching the machine and wash removable parts in your kitchen sink using warm water and noninvasive dishwashing detergent. However, it is vitally important to use a mild detergent and rinse the elements thoroughly, not only because the parts of your coffee machine may be sensitive to detergents but to avoid poisoning or any type of complications when it comes to the flavor of your coffee, as well. Before putting detached parts of the machine together, make sure to have them absolutely clean and dry. To clean your coffee maker with denture cleaning tablets, all you have to do is simulate brewing process. Usually, there is no need for more than two tablets. First, you have to pour warm water into the coffee pot and then add the tablets, making sure that they have completely dissolved before you continue with the cleaning process. Once they are dissolved, use this mixture to fill the tank of your coffee maker and then turn it on as if you were brewing coffee. This way, the dissolved tablets will circulate through your appliance dripping into the coffee pot and, therefore, leaving your coffee machine fully cleaned. When the brewing process is done, empty the coffee pot and make sure to rinse the coffee pot thoroughly before refilling it with the new amount of clean water. Finally, repeat the brewing process, this time with clean water, to make sure that you have rinsed it well. If you are not sure that it’s rinsed well, you can repeat the process one more time. 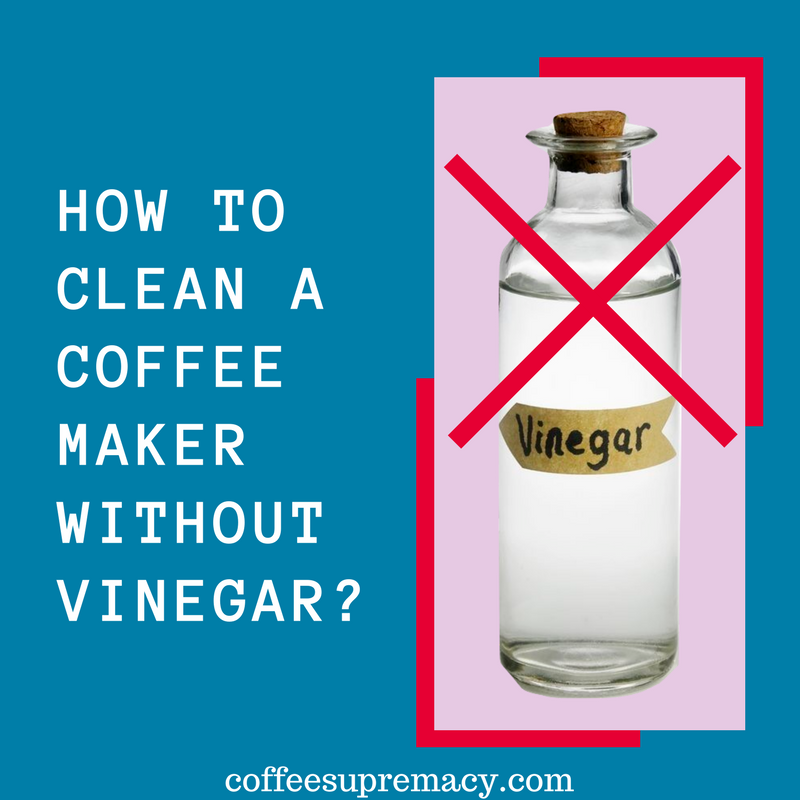 Why Should You Reduce The Use Of Vinegar When Cleaning Your Coffee Machine? Even though a large number of people put their trust in the power of vinegar when it comes to cleaning coffee machine, there are various reasons for you to reconsider the way you clean your appliance if you are one of these people. First of all, the smell and taste that vinegar may leave in the appliance if not rinsed thoroughly may be really unpleasant, so you’ll have to spend a lot of time rinsing the machine before you decide to use it again. Additionally, even though it is a powerful cleanser, vinegar is not really that efficient in killing bacteria all the time. Apart from that, if you have used it before, you probably have realized that it sometimes cannot remove the grease from the machine entirely. In conclusion, if you want to keep the taste of your coffee uncontaminated by the odor that vinegar may leave behind and, above all, reduce the usage of vinegar in your kitchen, don’t hesitate to try out the methods that we have mentioned above since they are based on safer ways of cleaning and the usage of less invasive ingredients, such as water, salt, lemon, and baking soda. The results will surprise you, that’s for sure.